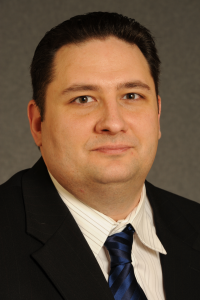 Thomas Joscelyn is a senior fellow at the Foundation for Defense of Democracies and senior editor of The Long War Journal, a widely read publication dealing with counterterrorism and related issues. Much of his research focuses on how al Qaeda and the Islamic State (or ISIS, ISIL) operate around the globe. He is a trainer for the FBI’s Counterterrorism Division. Mr. Joscelyn has testified before Congress on twelve occasions, including before the Senate Committee on Foreign Relations, House Homeland Security Committee, House Foreign Affairs Committee, House Armed Services Committee and House Judiciary Committee. He was the senior counterterrorism adviser to Mayor Giuliani during the 2008 presidential campaign. Mr. Joscelyn is also a frequent contributor to The Weekly Standard. His work has been published by a variety of other publications and cited by the Associated Press, Reuters, The Washington Post, USA Today, TIME, Foreign Policy, and many others. He makes regular appearances on television and radio programs. Mr. Joscelyn has constructed dossiers for hundreds of terrorists during the course of his work. The Daily Beast has described him as one of “the most trusted authorities on the al Qaeda network because of his encyclopedic knowledge of terrorist biographies.” In 2007, he published a monograph titled, Iran’s Proxy War Against America, which details Iran’s decades-long sponsorship of America’s terrorist enemies. In 2008, he completed an exhaustive review of the Guantanamo Bay detainee population, cataloging and analyzing thousands of pages of declassified documents.